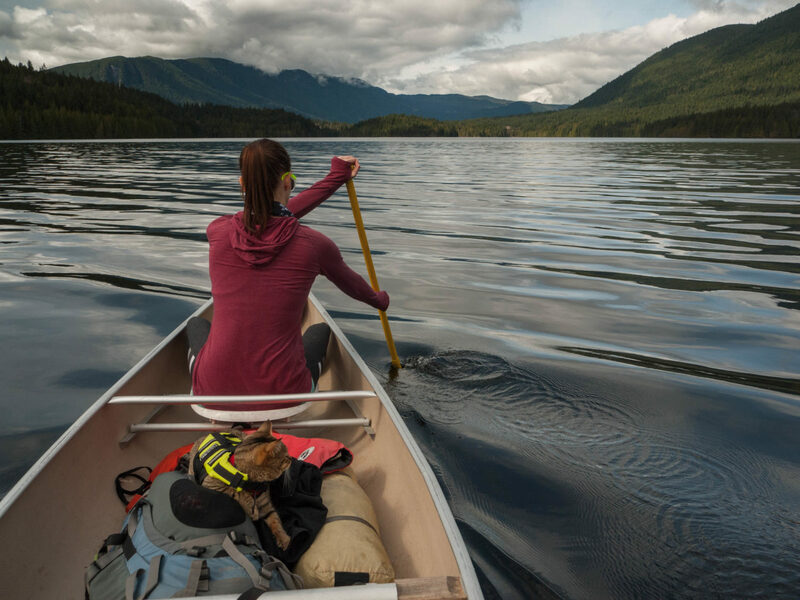 Experience an extraordinary wilderness canoe route adventure on the beautiful Sunshine Coast of British Columbia. The Powell River Canoe Route is a lake to lake campsite and portage circle route for multi- or single day trips. The coastal community of Powell River offers easy access to more than 30 lakes including the world-famous Powell Forest Canoe Route, a semi-circle of eight lakes and portages. The best time of year to go is between June and October, so now is the time to get paddling. Get ready for 48 miles of canoeing and 6.4 miles of portaging. Along the route you will find 20 recreation campsites, well maintained portages and conveniently located canoe rests. You can comfortably canoe the route in 5 days but leave yourself ample time to complete the route. Expect enrapturing visuals: soaring coastal mountains laden with cedar, fir, and spruce trees overlook fjord-like waters, and wildlife sightings, from bald eagles to black bears, are always possible. Once you’re off the ferry at Saltery Bay, drive north for approximately 10 km and you’ll see the entrance sign on the right side of the road across the highway from Loubert Road (entrance to the community of Stillwater). After turning right, drive up the hill and approximately 5 km in, you’ll be at the start of the Route, Lois Lake Campsite. It is not recommended to start from the north end of the route due to the steep grade along the Windsor-Goat portage. Once again, we suggest taking all the time you can to explore the beauty of this incredible chain of lakes. Your portages are often through beautiful old growth forest and the lakes are peaceful, serene, and generally calm. With any paddling, you’ll want to be prepared for your longer paddling stretches by watching and predicting weather patterns so you are not paddling through rough waves and strong winds. Paddle earlier in the day to avoid gusty winds and wind down at your campsite early to enjoy a great dinner, swimming, and the overall beauty of the area. If you don’t have a full 5 days, a popular 3 (or relaxing 4) day trip is to start at Windsor Lake so that you can descend to Lois. You get in the majority of the circuit, and the most beautiful portion too. A great 2 day trip is paddling Lois Lake and then through the canal into Khartoum Lake. If you are need of supplies or services, including canoe rentals, outdoor gear, transportation just help with the logistics of planning a bigger trip, Mitchell’s Canoe & Kayak in Powell River is the place to go.